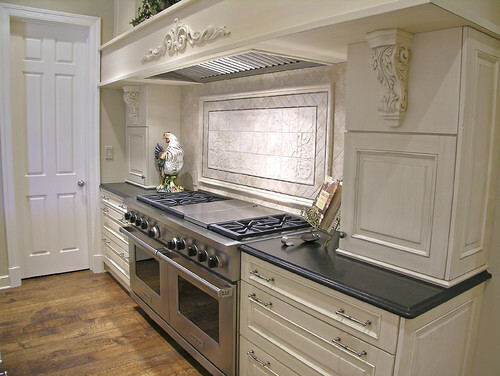 The Granite Gurus: FAQ Friday: Suggestion For a Black Countertop? 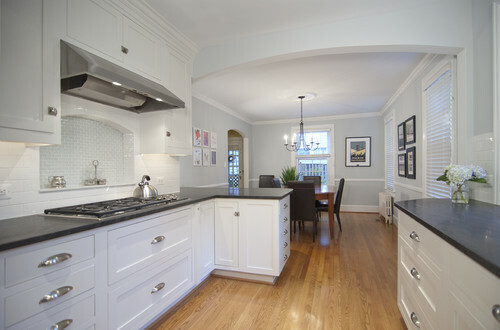 FAQ Friday: Suggestion For a Black Countertop? Today's FAQ Friday question comes from Jill..."Wondering if you can suggest a good countertop for a kitchen. We were thinking of a black or grey that has a matte finish. I believe there is granite, sandstone, and limestone in that look? But not sure the differences or what works best in a kitchen (staining etc.)" Thanks for the question Jill. For durability the best black countertop for a kitchen would definitely be granite. It's heat, stain and acid resistant. Limestone (& marble & travertine) are calcium based stones, so anything acidic that gets on the stone will etch the surface. We do these for kitchens all the time, but you just need to be aware that they won't look perfect forever. To read more about etching go here. Sandstone is quite soft & porous compared to granite. Sandstone is great for fireplaces and an occasional bathroom vanity, but I wouldn't recommend it in the kitchen. Granite is so popular because it's so durable. You can have a Honed (matte) Finish done to any black or grey granite that you choose. To read more about the finishes available go here. Thanks again for your question Jill! Hopefully this helps.